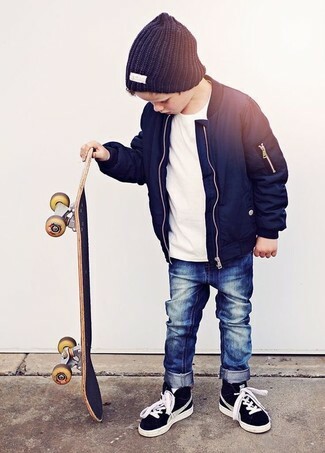 Suggest that your child team a navy jacket with navy jeans for a laid-back yet fashion-forward outfit. The footwear choice here is pretty easy: complement this style with black sneakers. 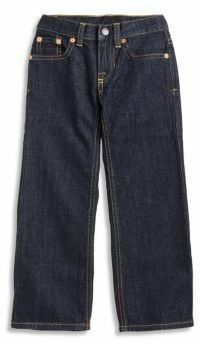 A tobacco cardigan and Ralph Lauren toddlers little boys slim fitting jeans feel perfectly suited for all kinds of activities with your son. 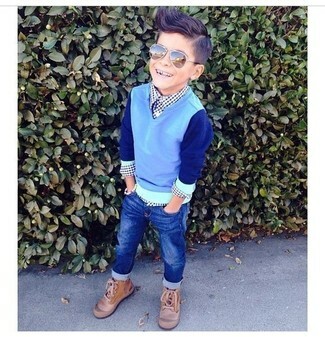 As for footwear your kid will love dark brown boots for this style. 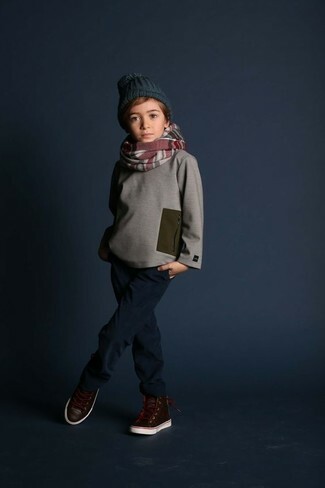 A grey sweater and Ralph Lauren toddlers little boys slim fitting jeans are a great kid outfit formula to have in your arsenal. 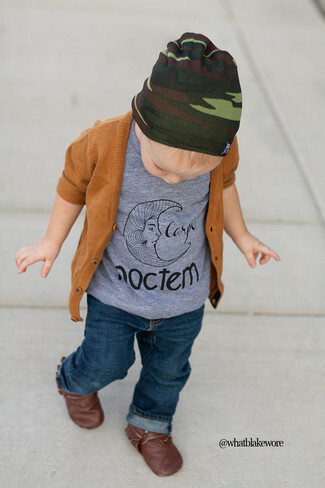 As far as footwear is concerned, suggest that your child opt for a pair of black sneakers. 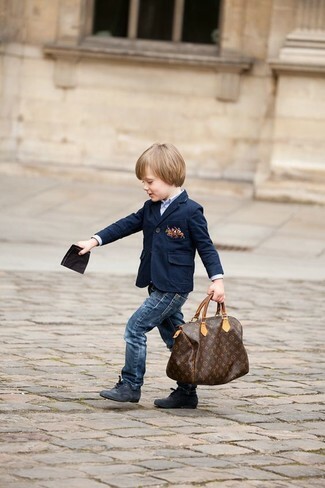 Help your tot look fashionable by suggesting that he wear a navy blazer with Ralph Lauren toddlers little boys slim fitting jeans. Black boots are a smart choice to complete this getup. 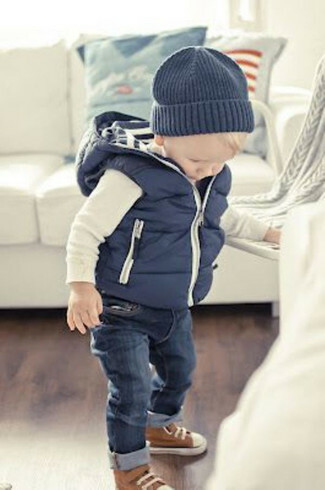 Suggest that your darling pair a navy gilet with Ralph Lauren toddlers little boys slim fitting jeans from Saks Fifth Avenue for a comfy outfit. This look is complemented really well with brown sneakers. 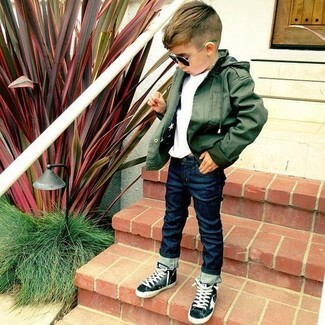 Dress your little angel in an olive jacket and navy jeans for a fun day out at the playground. Black sneakers are a great choice to round off this style. 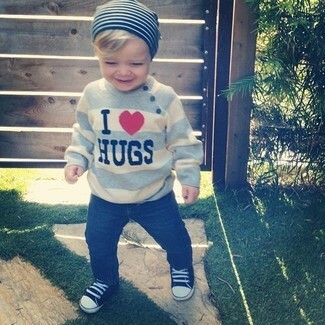 Suggest that your little angel go for a light blue sweater and navy jeans for a fun day out at the playground. As far as footwear is concerned, suggest that your child opt for a pair of tan boots. 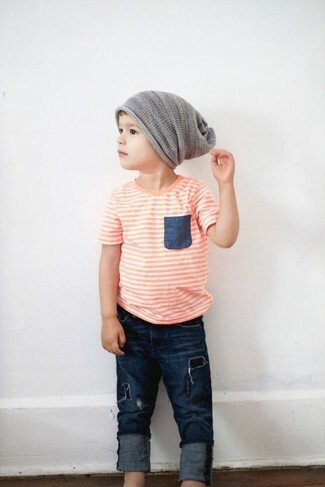 An orange t-shirt and Ralph Lauren toddlers little boys slim fitting jeans are a go-to outfit for lazy days when you and your son don't want to do anything special. Go for a grey sweater and Ralph Lauren toddlers little boys slim fitting jeans from Saks Fifth Avenue for your darling for a fun day in the park. The footwear choice here is pretty easy: round off this outfit with dark brown leather sneakers.